Born in Nassau, Germany, Arnold Rönnebeck studied architecture. He moved to Paris with an interest in painting and sculpture and studied under Aristide Maillol and Emile Bourdelle during the birth of Cubism. He also associated with Gertrude and Leo Stein. Rönnebeck served in World War I and was awarded for his service to the German Guard. He came to the United States in 1923 and lived in New York City, traveled to New Mexico and worked with Alfred Stieglitz and Georgia O’Keeffe. He met his wife Louise, also an artist in the collection, on a visit to Taos, New Mexico. 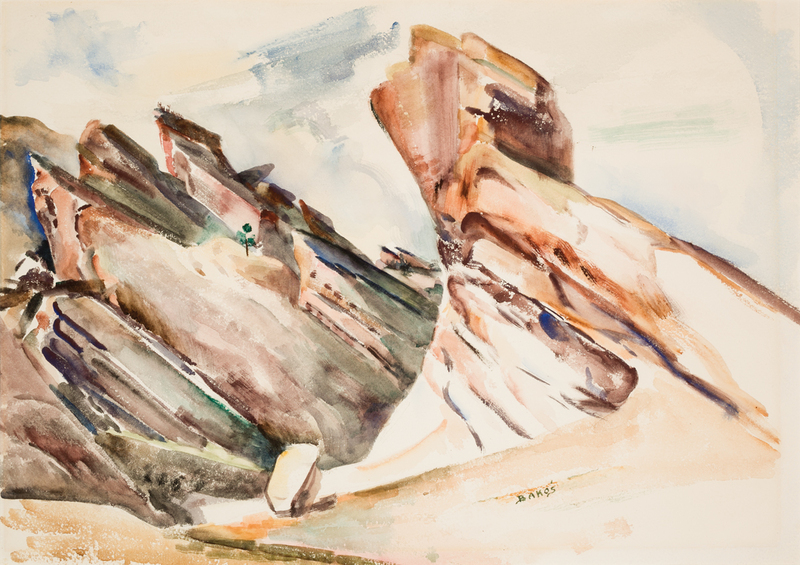 In late 1926 they moved to Denver where he served as Director of the Denver Art Museum from 1926 to 1930 and taught sculpture at the University of Denver from 1929 to 1935. Rönnebeck’s lithographs were quite popular in addition to his sculptures. The piece Trio and Tone Shapes comes from a 1939 unrealized relief commission for Denver Public Schools. The Estate of Arnold Rönnebeck approved two casts to be made from the plaster maquette: one for the University of Denver and one for Kirkland Museum of Fine & Decorative Art.